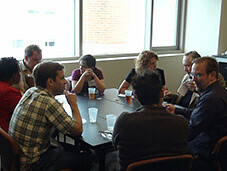 The new faculty orientation workshop, sponsored by the College of Engineering and the College of Sciences, takes place about two weeks before the fall semester and deals with principles of effective teaching and advising, planning and managing a successful research program and integrating into the campus culture. 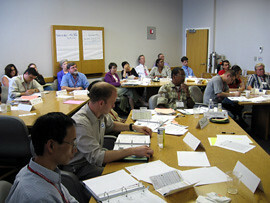 This website provides information about the workshop content and structure. Whether you are applying for a faculty position here or you have already accepted one, we hope that the information will be useful to you. Plan a research program, get it funded, recruit and manage new graduate students and possibly postdocs, do the research, get it published in first-rate journals and deal with a bewildering variety of headaches that always arise in research. 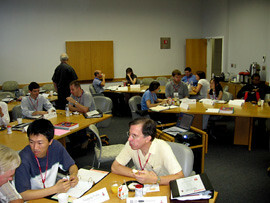 Design course syllabi, learning objectives, and lesson plans; give effective and engaging classes and labs; create good homework assignments, projects and exams; and deal with a bewildering variety of headaches that always arise in teaching. Manage the competing demands on their time of research, teaching, service and personal life and integrate themselves into the cultures of their university, college and department. Unfortunately, most Ph.D. programs teach little or nothing about any of those things. The result is that it takes most new faculty 4 to 5 years to become as productive in research and effective in teaching as they can be. 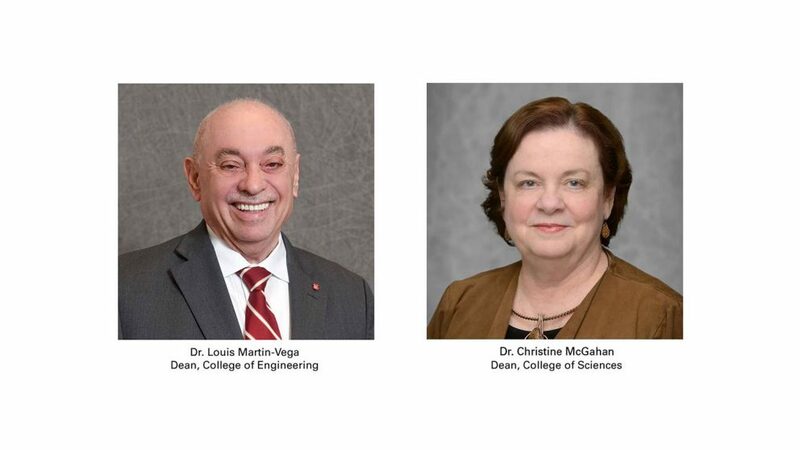 Since their getting tenure depends heavily on how well they do in their first 2 to 3 years, this is not a healthy situation for either them or their universities. 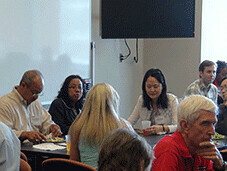 Over 420 new faculty have participated in the New Faculty Orientation Workshop since August 2000. Although most of them initially had misgivings about spending four days at a workshop just before their first semester, they ended by agreeing that the time was well spent, giving the workshop more than 288 ratings of excellent and 59 ratings of good. Select image to enlarge it. 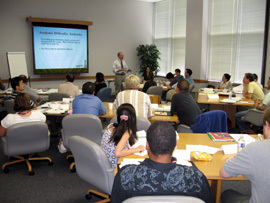 Registration is required for the New Faculty Orientation Workshop, which will be held Thursday–Friday, August 9–10 and Monday–Tuesday, August 13–14, 2018.